BRAND NEW Australia Prolander League is now here! The league will start in late august. Register yourself/your team today! It is a one day tournament for teams / groups of friends of ANY skill level to have fun and win prizes playing Prolander. 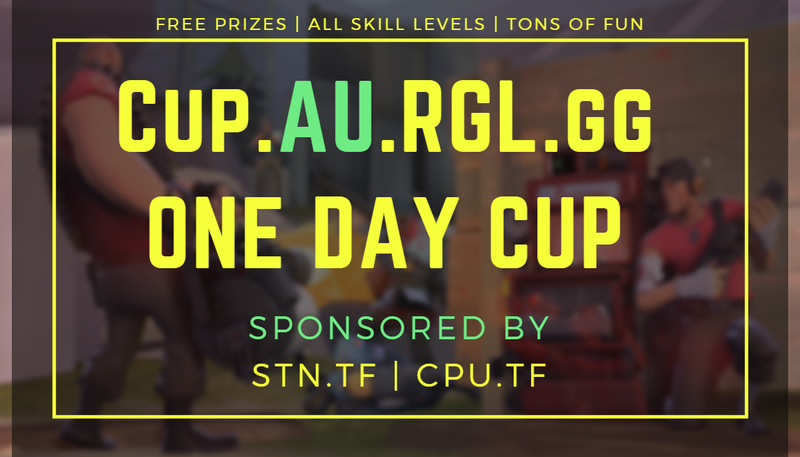 The Prolander one day cup will happen on Saturday July 21st, 2018 starting at 4pm AEST and will last for about 5-6 hours. This cup is able to happen thanks to our sponsors STN.TF and CPU.TF! We will seperate out teams into seperate divisions with teams of similiar skill level. Each team will play three matches. Those that place in the top half of their division at the end of the cup will take home 7 keys, and the team that places first will take home 14 keys! The Prolander one day cup will happen on July 21st, 2018 starting at 4pm AEST and will last for about 5-6 hours. You can place an ad on our Looking for Team (LFT) section of our website. I suggest you also check out and continue to check out the Looking For Players (LFP) section. This is where teams will post if they are looking for players to join their team. Additionally, there is a solo queue option available, where we will place you into a team with others who have solo queued. This is an Australian (AU) cup. You can play if you are not in AU, but you must have resonable ping (150) to Sydney servers. The first round will start on Saturday, July 21st @ 4pm AEST. The subsequent rounds will start when all teams in their division finish the previous round, with the whole event taking 5-6 hours. Teams have not been put into their divisions yet. All team leaders should be setup in our AU RGL discord, we will distribute server info to the captains through discord the day of. What maps are we playing? Maps will be decided once we work out how many teams have joined and created each division. Here is the whitelist we'll use. All weapons are allowed except for: Soda Popper, Crit-a-Cola, Fists of Steel, Machina, Razorback, Diamondback, Red-Tape Recorder, Jarate. In order to use a ringer/sub on your team, who isn't already registered on your roster. You must ask an admin for their approval. Admins can deny the ringer if they are too high skilled. Contact an admin on our AU RGL discord. We will distribute them after the cup finishes, and after Valve adds them to the game. max4 ozfortress intermediate grand final!! quid___ interviews with the real ofz grand intermediate fina l players !!! TeejayHira svift gamer plays ozf scrims? INFIGOUniverse [TR/ENG] TF2 de bir Trk m ! ?